Every year spring brings with itself the festive mood of holi. It can be considered as an official start of the spring season. There can be no better way to greet a season than with splash of colors and whole loads of enjoyment with friends and family. The most awaited festival of the year is due for few for more days and obviously, like all other you too might have a lot of planning for the day. Holi is popular festival widely celebrated in each corner of the country. The vibrant colors define the different elements of the nature and the best way to set the mood for the festival is to bring all those festive colors indoors. Decorating your home for the festival will surely add on to your mood for the upcoming festival, after all it's all about having fun and spending some quality time with your close ones. With some simple ideas and a little guidance, you too can re-decorate your home for the occasion, which will create a huge impact not only your surroundings but onto yourself. 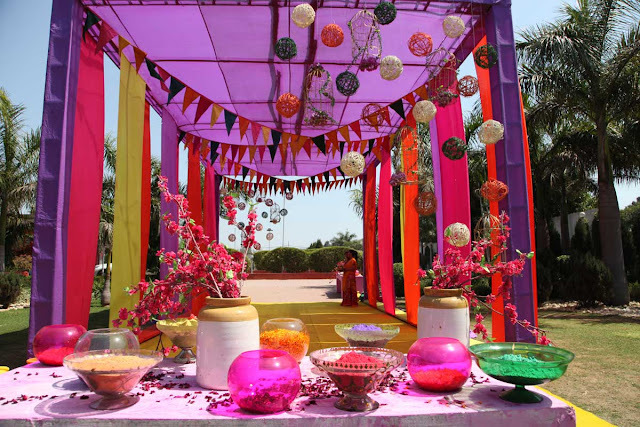 Thus here in this content we have tried to bring forth to you some coolest colorful holi home decor ideas which you can opt to decorate your house for the purpose without much effort. 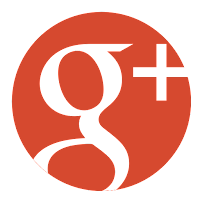 This first thing which everyone considers while decorating their home is the furniture. It is impossible for everyone to buy new ones for every occasion. So the best way is to change the outlook by rejuvenating them with colorful sheets, covers and similar other items. Take for instance you have an antique table in the middle of your living room an you don't want to replace it, so be it decorate it with new table cloth, place a bouquet in the middle of it or spread some colors or flower petals around it. Again get some beautiful and colorful bed sheets which suits your room and makes it look much more vibrant. Add colorful cushions to it. There are practically many things, which you can do to re-decorate your home furniture without even replacing them. Just follow your instincts and see for yourself the change. These can prove to be a great way to bring colors indoors. 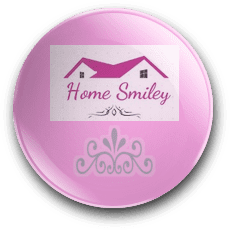 Small handy home decors are widely available in the markets you can easily get them from anywhere you want. Like a colored candle stand or a flower pot. 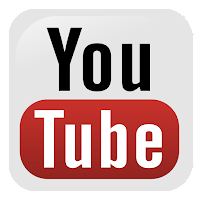 As these are portable, you can place them anywhere you want in your home. If not you can visit local craftsman to get for yourself some funky handmade showpiece which will add on to the beauty of your home. 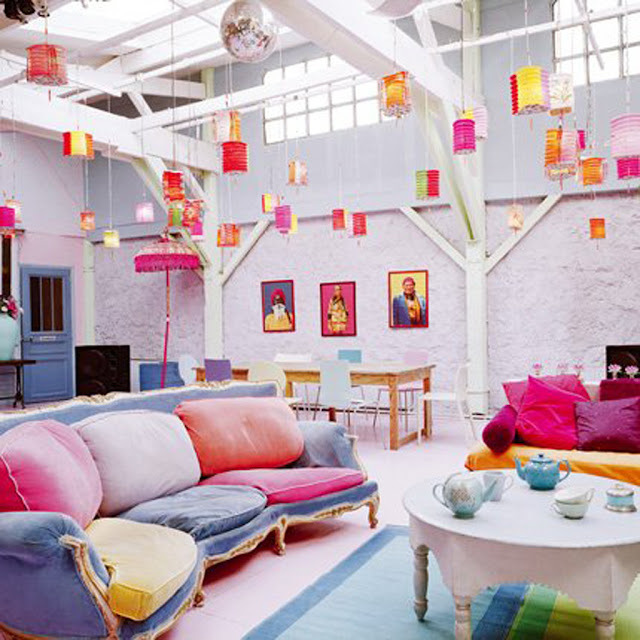 Colourful curtains offer a lot to liven up a room's atmosphere. 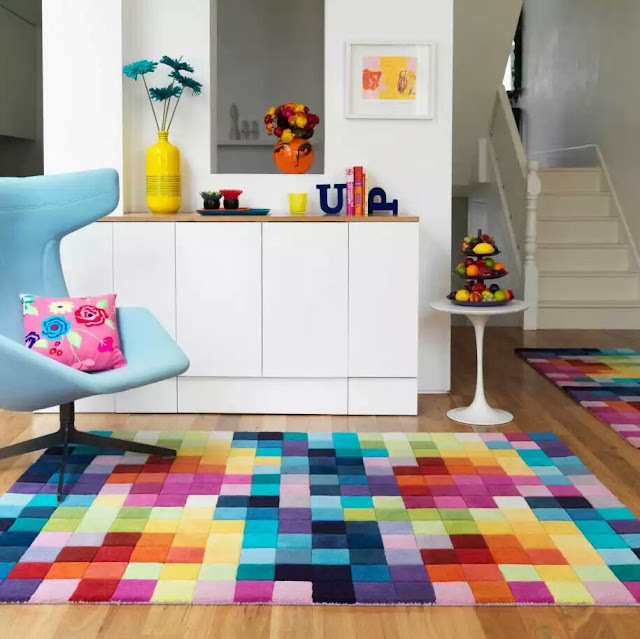 So get yourself the best of the best products available in the market, which will provide a complementary look to your home interior.Along with the curtains, if possible get matching carpets or rugs. This will not only help look your room more colorful and vibrant but will also make it look fashionable. 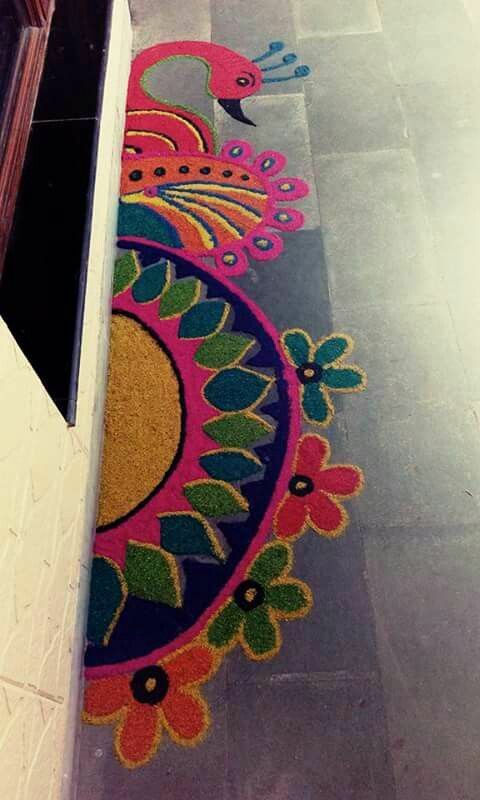 Floor pattern or Rangoli is associated with holi from past. People use different holi colors to create a beautiful pattern on the floors which provides a much better look to the surroundings. If possible, you too can try make such thing on the entrance door or in lobby or else you can get it from the markets at ease. 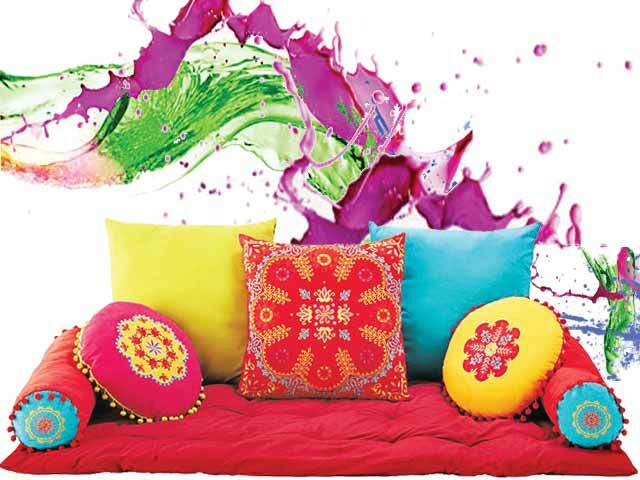 Decorations are incomplete if the walls are kept emptied hence try and get some colorful wallpapers from the markets or ethnic, handmade wall hangings without much effort.These were some colorfulholi home décor ideas, which you can try for yourself and make your home look beautiful this holi.